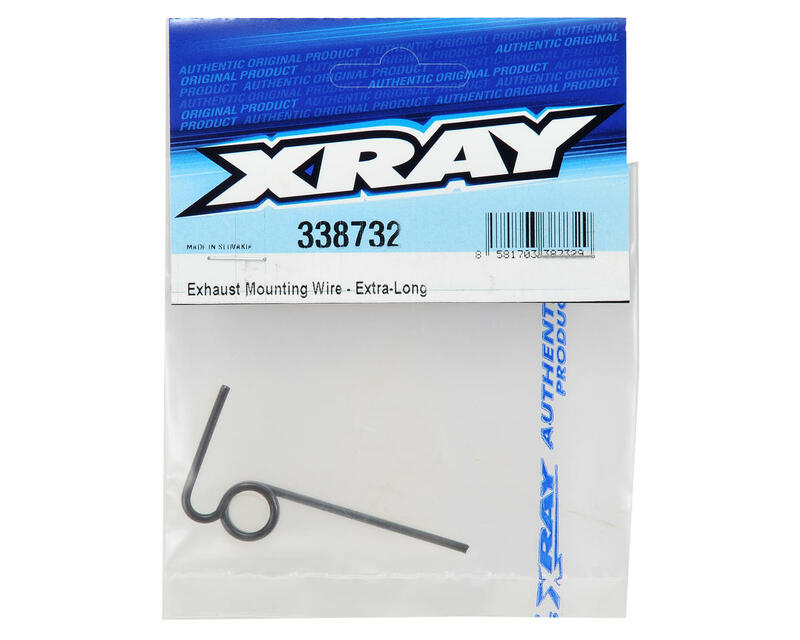 This is an optional XRAY Extra Long Exhaust Mounting Wire. 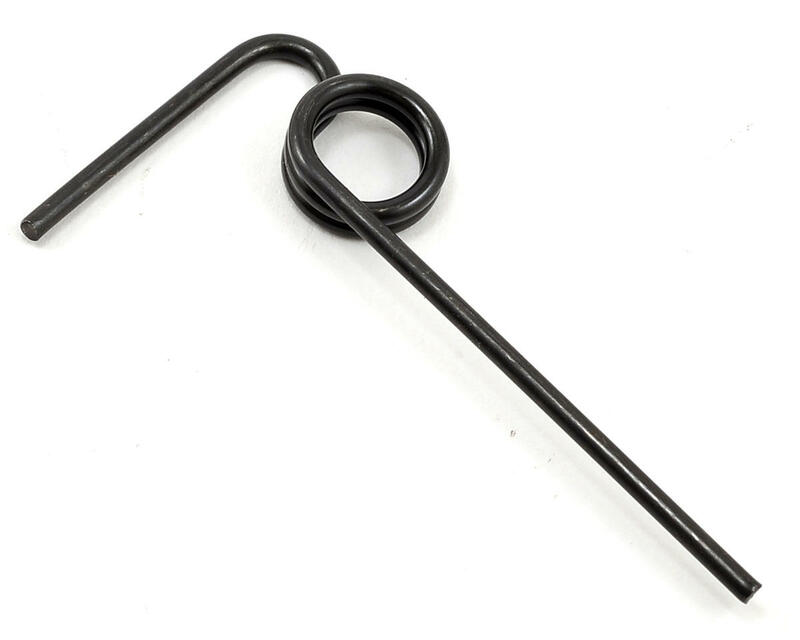 This high-tensile steel extra-long exhaust mounting wire allows easy mounting of muffler systems which are angled more outside of the car. Great pipe holder. A spring design is much better than the solid piece of metal I had before. It gives a lot of support while allowing more protection than the stock mounting wire.